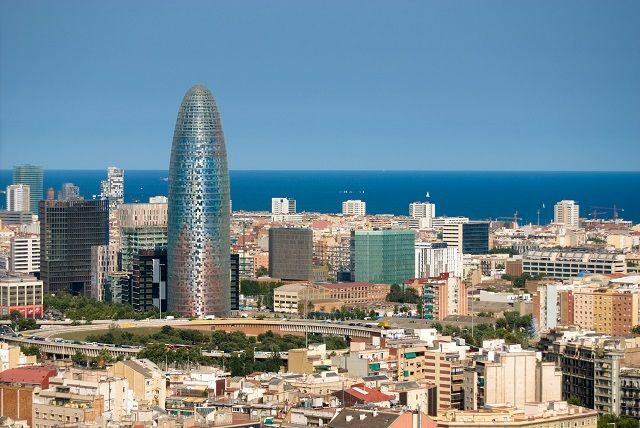 Poblenou is a former industrial district that has experienced an intense transformation. The development of new areas and renovation of old factories and warehouses into new office buildings, lofts and art galleries, has turned it into an extremely dynamic place. 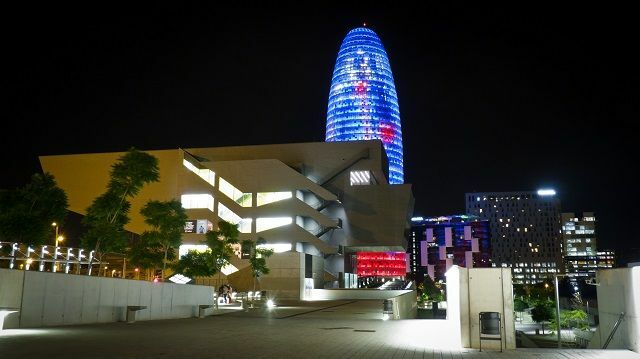 Poblenou offers a fusion of old and new, great accommodation options, proximity to the Barcelona beaches and much more! Poblenou is one of the neighborhoods of Sant Martí district. It’s located between the Olympic Port and the Forum. Bogatell beach, one of the most popular beaches of Barcelona, is also part of Poblenou. This area is now filled with exciting new hotels, highrises, shopping centers and restaurants. Formerly called the “Manchester of Catalonia“, it was the main industrial center of Barcelona during the 19th century and a working class neighborhood. By the mid 1900’s, it entered a slow process of decay and abandonment when industries started moving to the outskirts. However, in recent years the whole area has been completely reinvented. The main reason for this huge revamp is the development of several key areas. Some of these started in the late 1980’s, like the Olympic Village. Others, still in process, include the 22@ District, an ambitious plan to turn Poblenou into a technological and innovation district. Check out the renovated Glòries Plaza with the recent opening of Barcelona’s Design Hub. 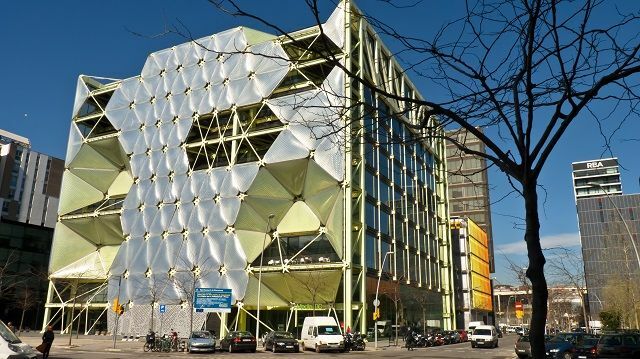 This multifunctional center hosts the Barcelona Design Museum, a documentation center and a library. The explanade it’s the perfect place to contemplate Agbar Tower at night. Not too far is Novotel Barcelona, a perfect hotel for families. 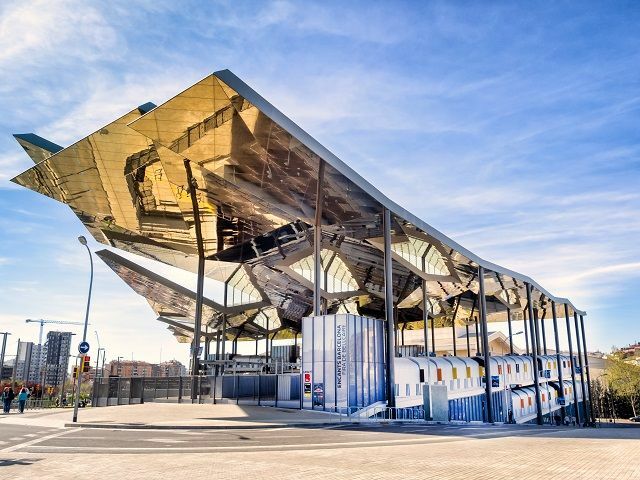 The Encants Vells, Barcelona’s most ancient flea market (dating back to the 14th century), was relocated en 2013 and treated with a futuristic new structure near Glòries square. In this peculiar flea market you’ll find every possible second hand item. 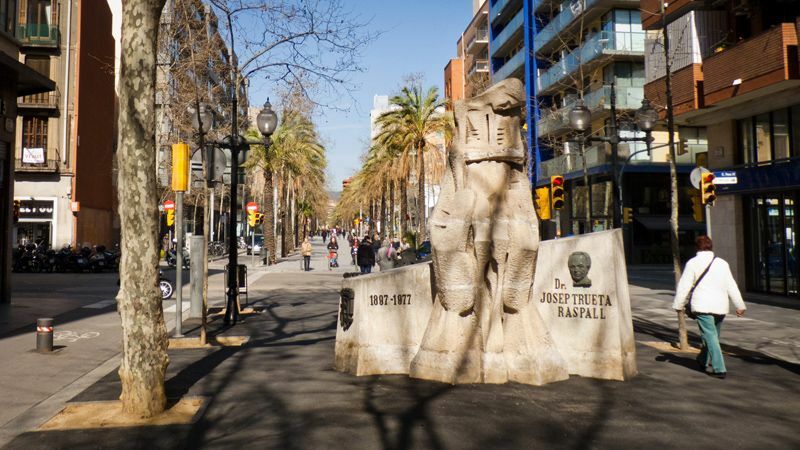 Take a walk down the traditional Rambla del Poblenou, for drinks or tapas. The busiest street of this neighborhood has a lively atmosphere (especially in the summer) and is filled with bars and restaurants. It eventually leads to Bogatell beach. 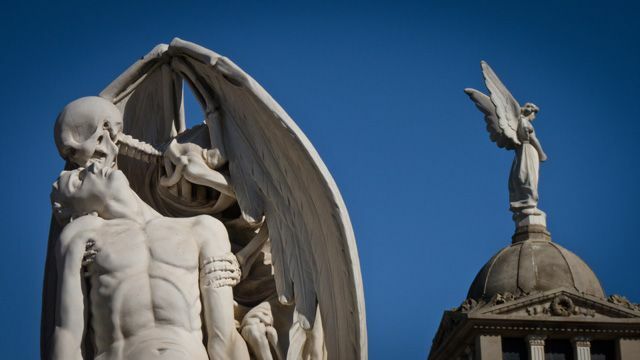 Check outstanding funerary art at the Poblenou Cemetery, that features stunning sculptures and pavillions, some dating from the 18th century. Don’t miss “the Kiss of death”, the most notable piece of art of the cemetery. Also, visit Glòries Shopping Center for the best shopping experience. Finally, head for the 24th floor at the fancy Meliá Barcelona Sky Hotel for the best food and drinks at Dos Cielos Restaurant, with outstanding views of Barcelona.